All of Wilmot’s good little girls and boys had a chance to see Santa, not once but twice during a fun-filled afternoon on December 11. The event began at the Wilmot Community Association’s (WCA) Red Barn and ended at the Wilmot Public Library. This very special afternoon was ably led by Mary Kulacz from the WCA board of directors and Michelle Travis, Library Director. Thank you to both for putting it all together. As with most successful programs, Wilmot’s visit from Santa drew on the creativity and hard work of many. 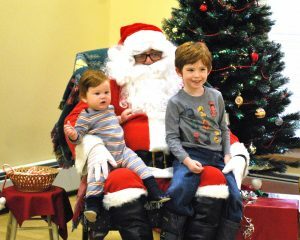 First and foremost, a huge thank you to Santa for taking time away from his busy schedule to spend the afternoon in Wilmot. Photographer John Swindell from Kearsarge Studios did a beautiful job photographing kids and families with Santa. His elf, Carla Hoyt, kept the line moving and children smiling. Photographs will be mailed out as soon as they are ready. Thanks to John, the first copy is free! You can get a sneak peak at your free photo, see a few extras and order additional copies online. 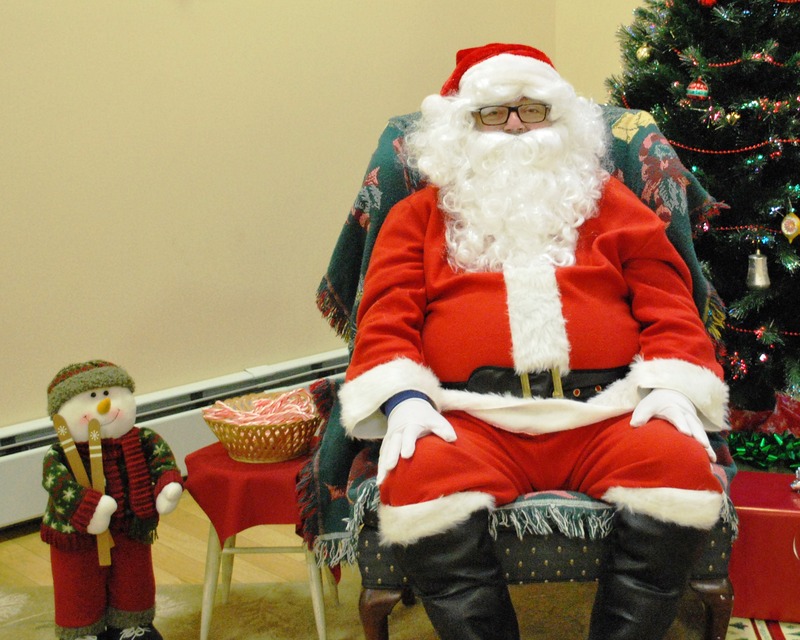 Santa’s second elf, Lela Henskens, helped the children with a holiday craft project. There were cookies, cocoa, and carols for all. 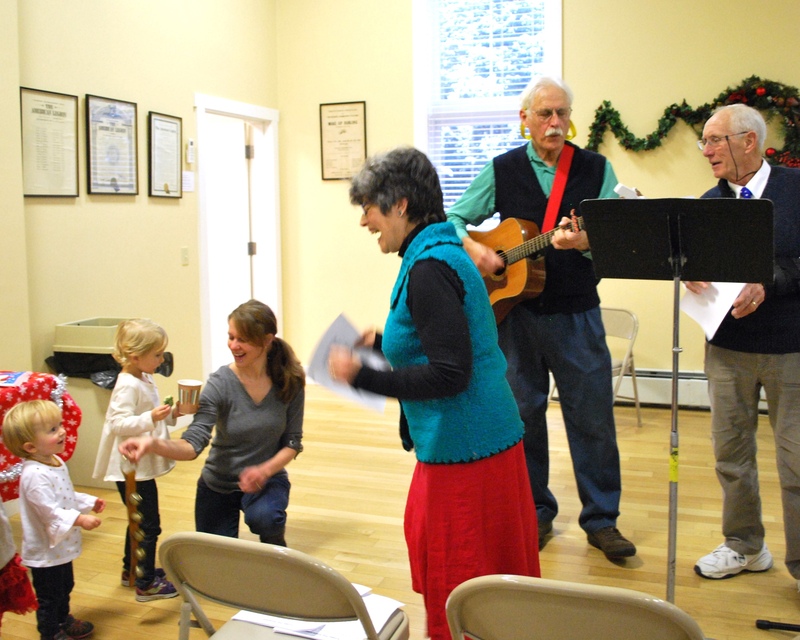 John Schlosser and George West from the Fondtones and Nancy Schlosser entertained families with a holiday singalong. Additional volunteers at the WCA Red Barn included Ann Davis, Adam Glass, Darlene Hoyt, and Rachel Seamans – thank you! Everyone’s bellies were warm and full of cookies before heading out into the cold for the Wilmot Public Library. The children had another go at a fun craft project and decorated the Library’s Christmas tree. 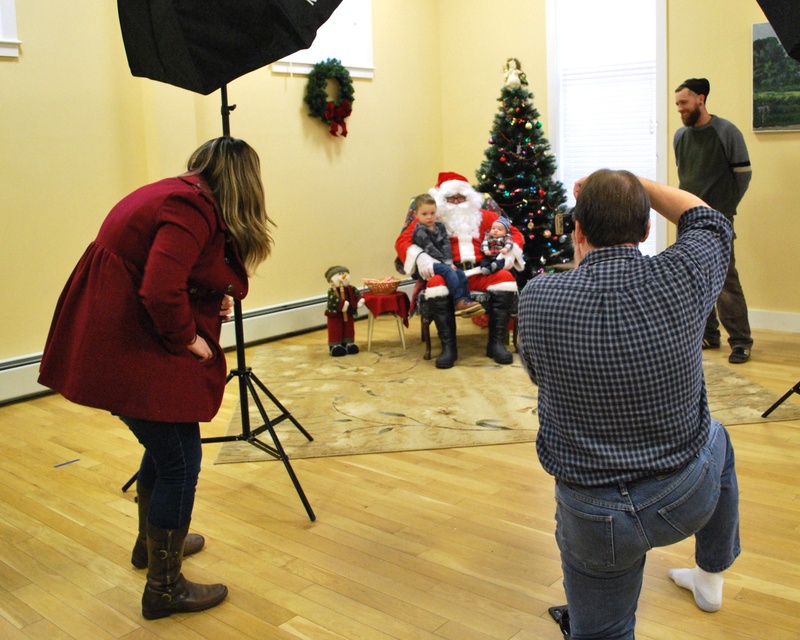 The children then gathered around Santa as he read Clement C. Moore’s timeless holiday classic, “The Night Before Christmas.” After the reading, each child was given a book. A big thanks goes out to the many library volunteers who wrapped books and decorated the library. A final thank you goes out to Sean Brunel and the Wilmot Volunteer Fire Department. Santa’s sleigh was in the shop for a final pre-flight check for his big trip on the night of the 24th. Sean stepped up to drive Santa to Wilmot. This entry was posted in WCA, WCA Events, WCA Programs, Wilmot and tagged #SantacomestoWilmot, Santa by WCA_Admin. Bookmark the permalink.